The rumour mill has been rife with speculation that Lego will be releasing Disney minifigs – and it seems that when you wish upon a star, dreams really do come true! These legendary characters are being transformed into Lego form as we speak, and they’re heading to Australia! There’s nothing quite like the anticipation of a new Lego series – and when it’s a Lego-Disney collaboration, it’s guaranteed to be all sorts of amazing! 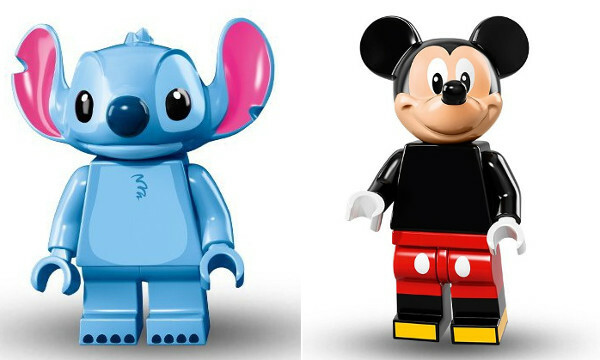 The images released by Disney reveal 18 new minifigs, which are due to hit shelves in May. The new range includes some old-school favourites like Mickey, Minnie and Donald, as well as more modern-day Disney movie stars, like Buzz Lightyear (who had previously been released in Toy Story sets, but has been tweaked a little). Local Australian Lego retailers, like I’m Rick James Bricks, are taking pre-orders, for what will no doubt be a hugely popular range – and word is that this is just the first series. If you’re a Lego tragic, take a look at our archives for more little brick goodness. You can pre-order the whole Disney minifig set from I’m Rick James Bricks for $90.